Beautifully-illustrated 100-piece puzzle with a poster suitable for framing. Includes a 13" x 19" poster. For learning and play. 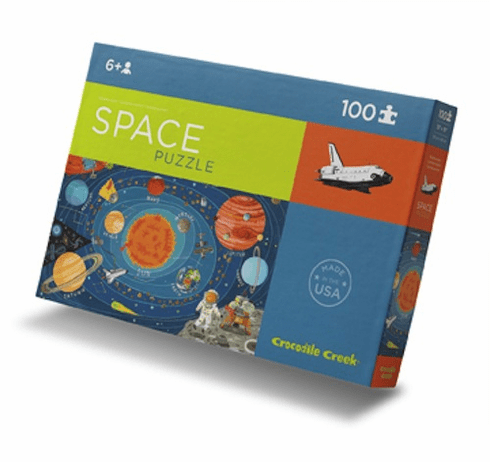 Puzzle is 13"L x 19"H. Box is 13"L x 9"H x 1.75"W. Made in the USA. Crocodile Creek products conform to all of the appropriate safety standards.